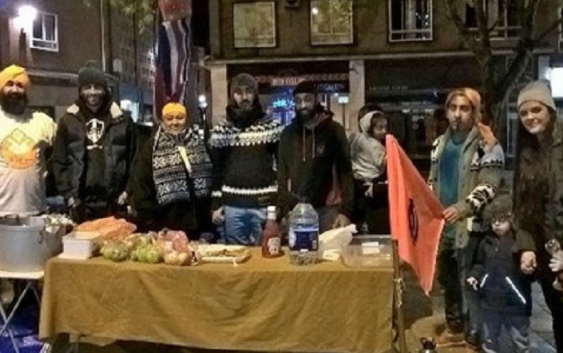 MEMBERS of the Sikh community teamed up with the Midland Langar Seva Society over the weekend to provide food for the homeless people of Exeter. The act of hospitality took place as Sikhs across the globe celebrated the birthday of the religion’s founder Guru Nanak. One of the three pillars of the religion involves helping those in need, and on Sunday members of the Sikh faith did just that by hosting a community kitchen at Exeter Cathedral and also a table in the City centre in which the homeless were provided with food.